Liatris are hardy perennials that reach between 60 cm to 1.8 m in height. They flower from the summer until the early months of autumn. The flower stems of Liatris carry purple or white flowers. These plants are useful for growing in the garden borders. Some of the common varieties of Liatris include Prairie snake root, Blazing star, Button snake root, and Gay feather. 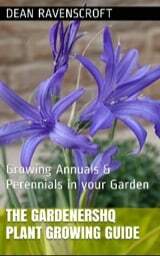 Also check out the how to grow Liatris spicata guide. Liatris spicata - Blazing Star by Wallygrom. Common Names: Blazing Star, Gay Feather, Button Snake Root, Prairie Pine, Prairie Snake Root. Height: 10 to 60 inches (25 to 150 cm). Flower Details: White, Purple. Colour tipped inflorescences. Disc florets. Sow Outside: Cover seed. Start of spring - before the last frost, or early in autumn. Spacing 12 to 16 inches (30 to 40 cm). Sow Inside: Germination time: three to four weeks. Temperature: 55 to 75°F (13 to 24°C). Seven or eight weeks in advance. Transplant outdoors following the last frost. Requirements and care: Full sunlight or light shade. Soil pH 5.5 to 7.5. Poor soil, sandy soil, loam. Can survive in dry soils. Regular watering during dry periods. Top-dress with gravel to protect from rot. Spring manure mulch. Propagate: by dividing in the spring. Miscellaneous: Attracts butterflies such as the monarch and Swallowtail. The seeds of Prairie snake root and other Liatris members can be sown in either early or autumn or before the last frost of spring. Once sown the seeds should be lightly covered. Liatris can be grown in sunny and lightly shaded areas. Ideally Liatris species should be grown in a sandy, loamy soil of pH 5.5 to 7.5. It is very important that the ground that Liatris grows in has very good drainage. If you plan to first grow prairie snake root indoors as seedlings then they should be prepared about two months before they are due to be put outside. They will take about three weeks to germinate at 12 to 24 degrees Centigrade. Once growing prairie snake root and other Liatris are fairly easy to maintain. They require regular watering during prolonged dry spells. Once the flowering period is over cut off the flowering stems to tidy up the plant. 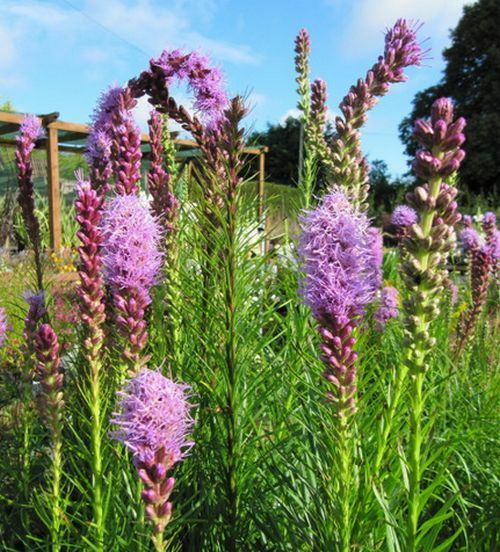 If you require more Liatris plants then they can be propagated by division in the spring.